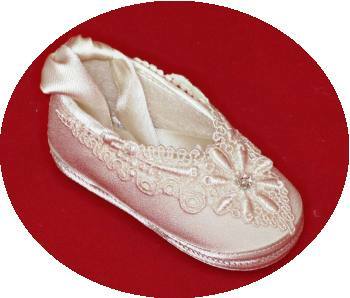 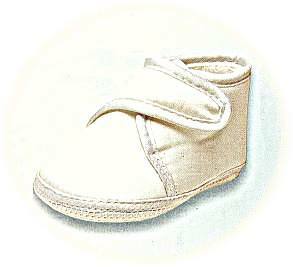 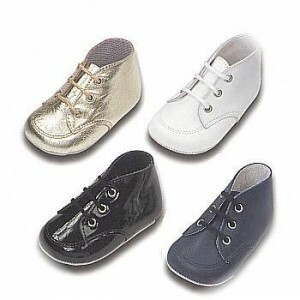 Elegant christening slippers from Italy ! 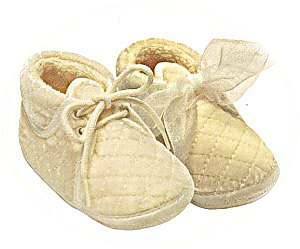 These truly beautiful christening shoes are made from ivory pure silk, trimmed with Italian lace and decorated with a single “diamond”. 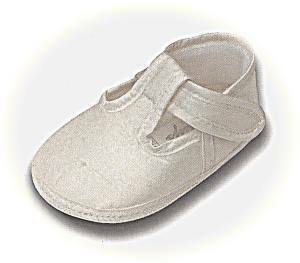 The slippers fasten with satin ties.